essano Gentle Foaming Facial Cleanser has a gel texture and naturally as it is a foaming cleanser, I expected it to have a decent amount of foam but it didn’t foam much. However it is quite effective as a makeup remover and it feels gentle on skin. There is a nice rose scent but not everyone will be glad that it’s scented. This cleanser contains certified organic Rosehip Oil and active natural botanical extracts such as Aloe Vera for hydration. It is soap-free and soothing to renew and cleanse skin without drying. 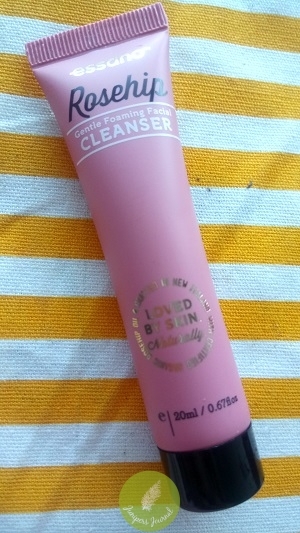 The best thing about the cleanser is probably the scent (for me anyway).